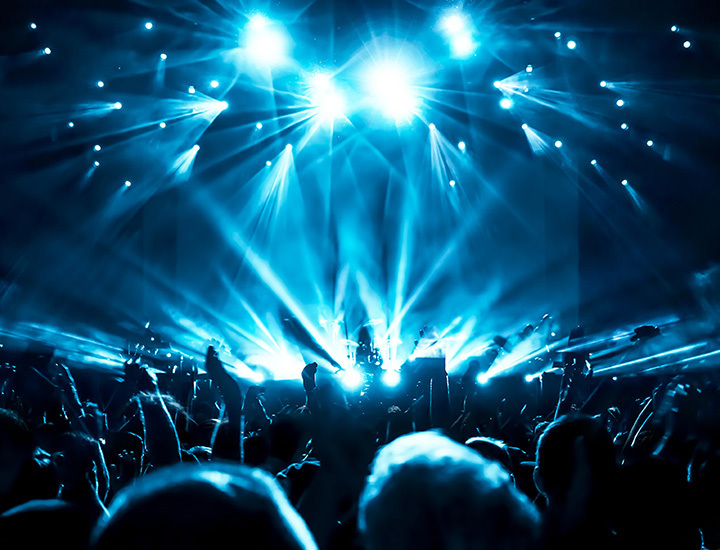 Whether you’re rocking out to a country show at a local bar or dancing the night away in a massive amphitheater hosting the latest pop star, Alabama has just what you’re looking for. For every variety or music in every variety of venue, the Heart of Dixie is home to some excellent musical performances. Here are the 10 best venues to watch live music in Alabama. If you enjoy outdoor venues in the summer, the amphitheater is the place for you. From stellar headliners like Bob Dylan and Miranda Lambert to their spacious seating area, this venue has it all. With its stadium seating and lack of viewing obstructions, there is no such thing as a bad seat in this house. Hosting a number of well-known artists, the Alabama Theater is an experience you can’t help but enjoy. With amazing acoustics and historic décor, you are truly transported in time through the ambiance. Located off the beaten path, Capitol Oyster Bar is worth the excursion. With frequent live jazz and blues music, this venue has the making of a low-key evening with delicious food. Kazoola is one of Mobile’s newer venues, but has a truly nostalgic ambiance. If you’re looking for smooth jazz and a relaxing evening with friends, Kazoola is the place to hang out. Not to mention, the food and drink menu is diverse with many hidden treasures. Located in Avondale, Saturn has it all from coffee to music. In a relaxed atmosphere, Saturn regularly hosts an eclectic array of bands, along with a variety of different events such as trivia nights, dance parties, and viewings of the Iron Bowl. In the heart of downtown Huntsville sits Humphreys. As a stand-alone restaurant with a number of tasty food items, Humphrey’s frequently hosts events as well. Their live music typically runs along the lines of jazz or bluegrass with a different band nearly every night. The Listening Room hosts some of the region’s most up and coming songwriters and storytellers in a relaxed, intimate setting. The venue has an excellent beer selection and is located across from the Battle House Hotel. Seated on the outskirts of downtown, Green Bar is a small but mighty venue. The cozy yet funky atmosphere is perfect for listening to up and coming musical artists. The Alabama Jazz Hall of Fame has a beautiful vintage marquee that is frequently used to host events. If you love jazz and up and coming music, the hall of fame is worth a visit. On the border of Florida and Alabama sits one of the neatest bars in the South. With fun events and regular live music, Florabama is a hot spot in Orange Beach. If you enjoy a good time and a party atmosphere, this venue is the place for you. View more Alabama Live Music Venues.